Munich - Borussia Dortmund are revelling in their best-ever start to a season. 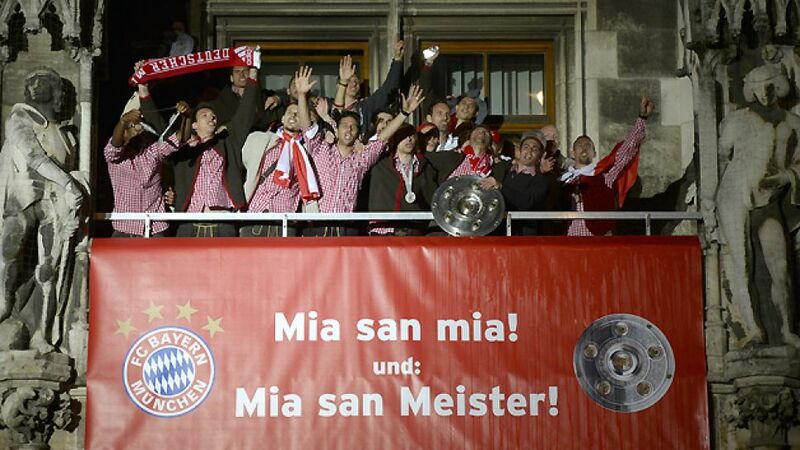 FC Bayern München are the reigning champions and closing in on an unbeaten Bundesliga record. Bayer 04 Leverkusen’s form after seven games would place them top in 37 previous Bundesliga campaigns. There’s certainly a title race on. However, there have been seventeen teams in history who have had six wins from seven at the start of a season, of which only seven have gone on to lift the coveted Bundesliga trophy. And this year, two more will inevitably join the ten sides that haven’t gone on to win the league, despite impressive numbers at this juncture. bundesliga.com analyses the developing title race in detail. Borussia Dortmund have been in scintillating Bundesliga form. Jürgen Klopp’s young team and their high-tempo game have taken 19 points from a possible 21, and the only blot on their copybook was a 1-1 draw against 1. FC Nürnberg. That copybook already includes imposing home victories against Hamburger SV (6-2) and SC Freiburg (5-0). Their free-scoring form has taken them to the top of the Bundesliga scoring charts, and Robert Lewandowski (with 6 goals), Pierre-Emerick Aubameyang (5 goals) and Marco Reus (4 goals) are flying in front of a defence which has been miserly, conceding a mere five goals. The club's clever recruitment policy has brought in Aubameyang, Henrikh Mkhitaryan and Sokratis, a trio who have slotted in comfortably to Klopp’s high-pressing, fast-paced footballing ideology. They have more than adequately filled the holes left by Mario Götze's summer departure to title rivals Bayern. Götze may have only been on board intermittently but the FC Bayern steam train, under new direction from Pep Guardiola, is rolling along forebodingly in second place. Bayern are closing in on Hamburger SV’s Bundesliga record of 36 consecutive games unbeaten, as by beating VfL Wolfsburg on Matchday 7 they made it 32 games without a loss. Guardiola’s tweaks are starting to be implemented on-pitch by the team, most initmidatingly on show in their Matchday 6 demolition of last season’s fourth-place FC Schalke 04. Indeed, with players of the calibre of Götze, Thiago Alcantara, Javi Martinez and Holger Badstuber set to return in the not-so-distant future, as well as a of Thomas Müller, the reigning champions don’t look ready to relinquish their Bundesliga crown just yet. Bayern may be trying to win their 23rd Bundesliga title, but a team desperate for their first is Bayer Leverkusen. The Werkself have finished runners-up on an agonising five occasions, but under Sami Hyypiä last season’s third-place side have improved immeasurably. The attacking duo of 2012/13 top-scorer Stefan Kießling and Sidney Sam has been enhanced by Heung Min Son and Robbie Kruse. Leverkusen have a settled midfield with the experience of Simon Rolfes, Lars Bender and Gonzalo Castro providing solid support to a defence which has only conceded seven goals all season. Some clues as to the destination of the championship shield will be found on a blockbuster Matchday 8, as Borussia Dortmund travel to unbeaten-at-home Borussia Mönchengladbach, and Bayer Leverkusen host FC Bayern. Bundesliga fans the world over will be clearer by Saturday evening as to who’s on top in the three-way battle to decide the destination of that famous old shield.